A lovely Easter Morning service led by our own Chris Goddard. A group of our youngsters started the service with a dramatised version of the Easter Morning story – well done and thanks for bring the story to us in a different and moving way. 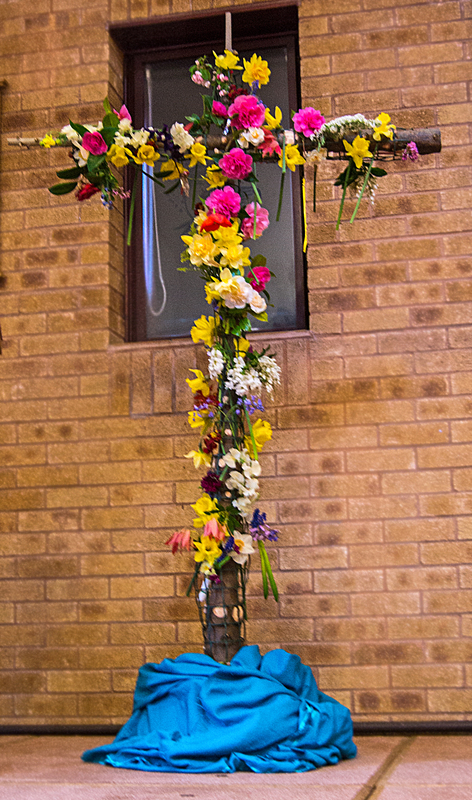 As has become our custom we brought flowers to decorate the cross (made from our Christmas Tree) to represent the resurrection transformation.